The basic version of Audioboo is free to use and the App is free to download. The App is available in iOS and Android versions (with more platforms coming soon) and the web version is of course open to anyone. 1) How have you monetised AudioBoo? / How are you going to monetise Audioboo? Although the basic version of Audioboo is free, there are subscription based versions (starting at £60 per year) that allow longer recording time and better analytics packages. Audioboo also allows users to post premium content (such as self published audiobooks) and charge for these. 2) Where did the inspiration for AudioBoo come from? 3) How long has AudioBoo been in the making, and who is the team behind AudioBoo? 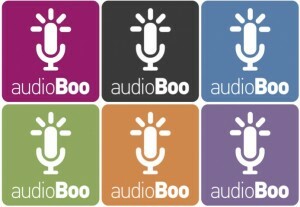 Audioboo launched in March 2009 as a simple way of recording audio while on the move and adding data to it. 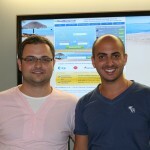 It grew from a small side project in 2009 to a fully fledged business in 2010 with a small team. The team is headed by Mark Rock, who previously was the driving force behind the Playjam interactive TV games business with Jon del Strother (the creator of Apple’s coverflow technology) as CTO. We have a great board of directors, including Don Cruickshank (Qualcomm, Ofcom and Virgin Group), Darren Cockburn (ex C4 and Disney) and Simon Cole (CEO of UBC). 4) What has been your biggest challenge so far at AudioBoo? Moving from a technology and development led team to one that is commercial and customer focussed. As the company matures and you get more users and customers you need to grow the team – this means recruiting people with different skills sets and changing the overall culture of the company. 5) In the coming year, what would you like to achieve with AudioBoo? Massive growth in user numbers, off the back of a redesigned site and App to help make using the platform even easier and more intuitive. Make sure you create a great team from the start, recognising your own weaknesses and at the same time building a support network that you can talk to – helping you both deal with the stress of starting the business as well as being able to provide advice and guidance. Investors increasingly want to back teams, not individuals.